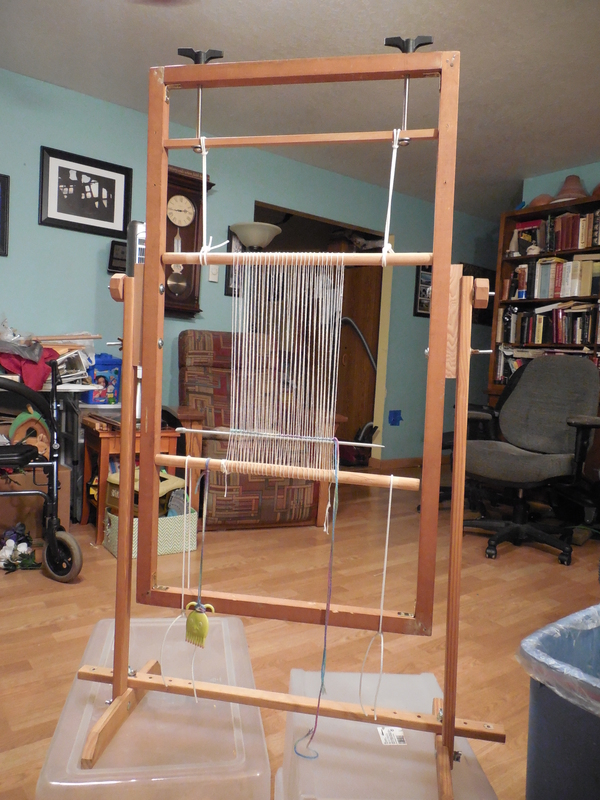 Trying out the home-built loom. So amazing that we made something that, actually, works the way it’s supposed to. Boggles the mind! We’ve been going through a serious family situation. The major issue has been dealt with and no longer lives here. We’ve been working at reclaiming our home. Lots of cleaning and tossing out of stuff. Catharsis is a good thing. It is starting to feel like ours once again. Stress really has a way of stifling one’s creativity. Lately, building the loom (https://fiberninja.wordpress.com/2015/08/05/who-knew-we-could-build-a-loom/) is about all we could do. It’s been sitting here with only its warp on since the beginning of August. Bare strings. Now it’s time to ‘get my art on’. The art room is calling. Wish me luck. I’m going in. I think I know where this tapestry weaving thing is going to go. If you know me well, you know that I have an intense interest in the life and art of Georgia O’Keeffe. Everything O’Keeffe. I can’t paint worth a doodle. I’ve tried. Taken Lessons more than once. It’s a no go. Apparently, not my medium. I’ve been working with fiber for more than 30 years now so, obviously it’s my thing. A passion. Somewhere along the line I want to incorporate O’Keeffe into my work. Not copy her, but pull into my work what I see and feel about hers. 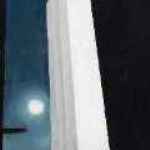 O’Keeffe learned from Kandinsky’s work, and his geometric forms found their way into her work In that same way I want O’Keeffe to find her way into my work. 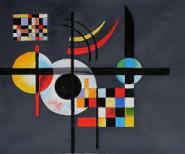 Those same geometric forms from Kandinsky to O’Keeffe to me. 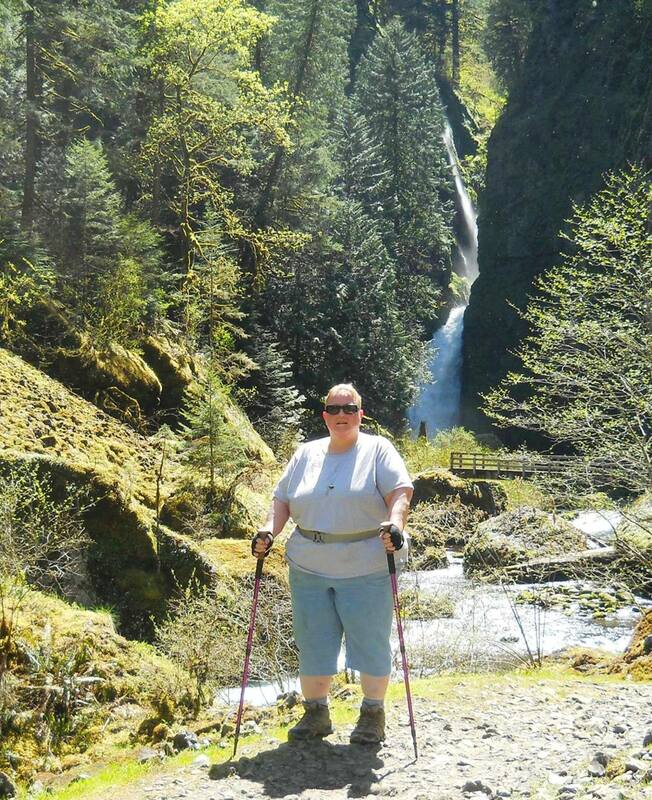 Guess I’m a double blogger now – A Little Cloth and Frumpy Hikers Northwest, an outgrowth of the Facebook Frumpy Hikers Northwest page. 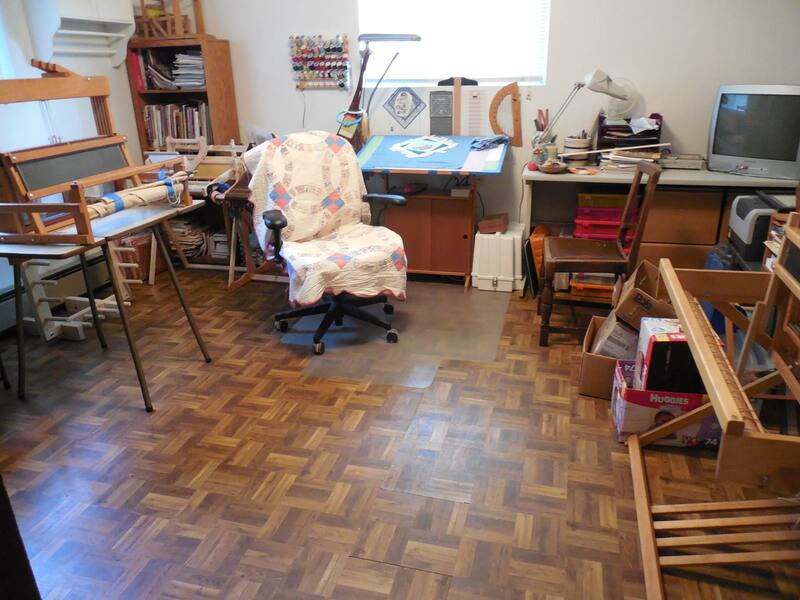 We, Mike & I, don’t build weaving looms or weaving accessories….we always buy them. We’re not very good carpenters at our house, so we purchase things. All that being said, we got inspired after we went to a yard sale and bought a needlepoint frame with a floor stand and brought it home. We also had a wooden frame, kind of like a picture frame, that we got at the Goodwill a while back. We only bought it because ‘we might need it someday’. 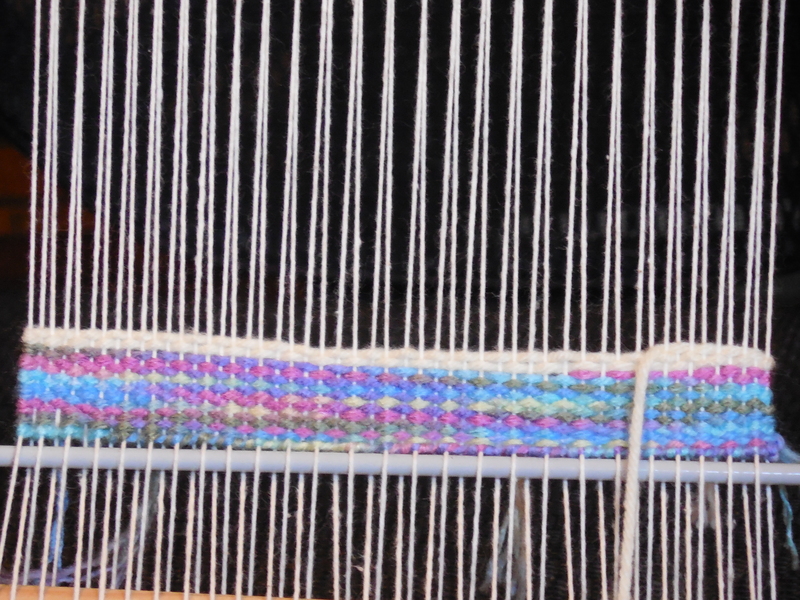 Well, the two were just dying to be married to each other, so we now have a tapestry loom. Looks good and works good. Needs a few tweaks here and there, but but we feel pretty good about our little achievement. Hmmm…..now, what to name it. Haven’t posted in a while. Much has been happening around here, as you can see from the photos. The first one shows what it was like to have a combined space. The other two show what they look like now, separated. 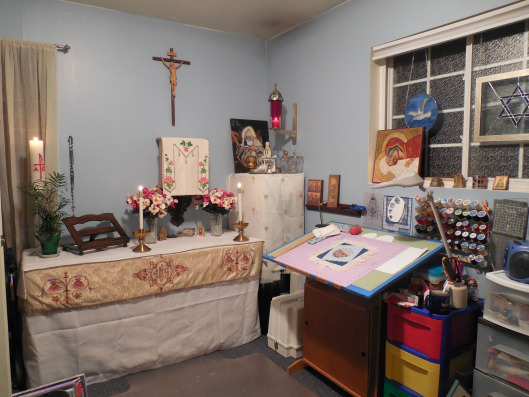 The bottom line is that we have reclaimed our home and the chapel and the art studio no longer have to be billed as the ‘chapel/art studio’. (For that story, see: https://fiberninja.wordpress.com/2014/04/21/the-double-duty-room-4/). 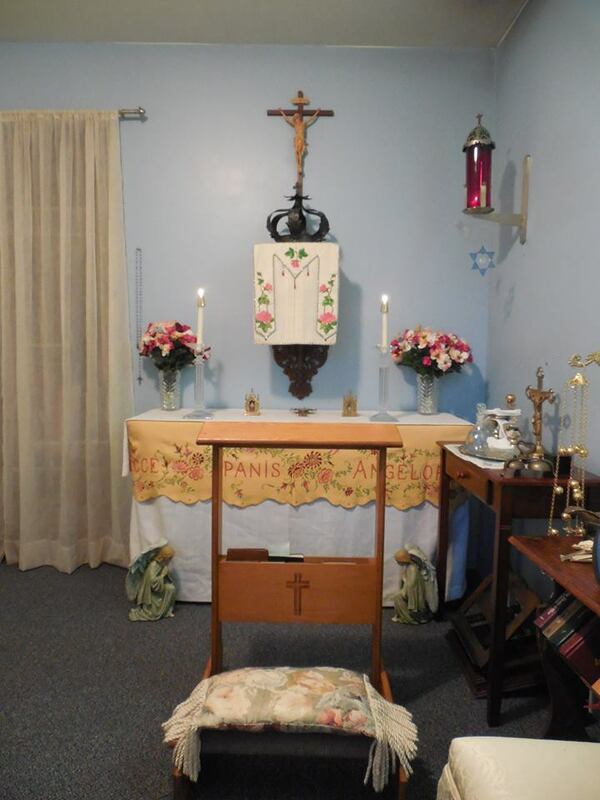 We now have restored the chapel and have a art/loom room. Hopefully, never the twain shall meet again or have to share space. It feels good to have things back to the way they should be. We are very happy campers, indeed! 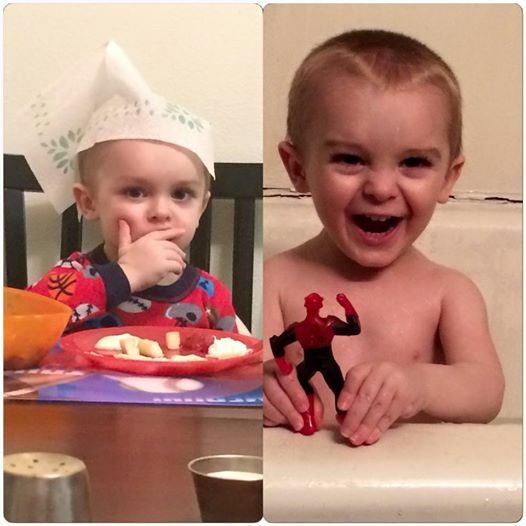 You may remember my post from this time last year February 28 is World Rare Disease Day….our almost 3 year old grandson Liam has multiple rare medical conditions resulting from a craniopharyngioma brain tumor at the age of 16 months and underwent a 12 hour brain surgery to remove it. As a result he has Adrenal Insufficiency, Diabetes Insipidus and has panhypopituitarianism (no pituitary gland). He also must take thyroid meds and growth hormones. His body systems that were governed by the pituitary gland must now be regulated with multiple medications every day for the rest of his life. We ask that you keep us in your thoughts and prayers tomorrow and throughout the coming year as we celebrate World Rare Disease Day. Thank you all for letting our family share this with you.